One of the nice things that you can do for Veterans Day is to find a way (or two) to support your local military families. What a great way to bring a little peace of mind to our heroes serving overseas! You know it will bring a smile to their face, knowing that a neighbor is helping their family while they are gone. Which brings up the next question . 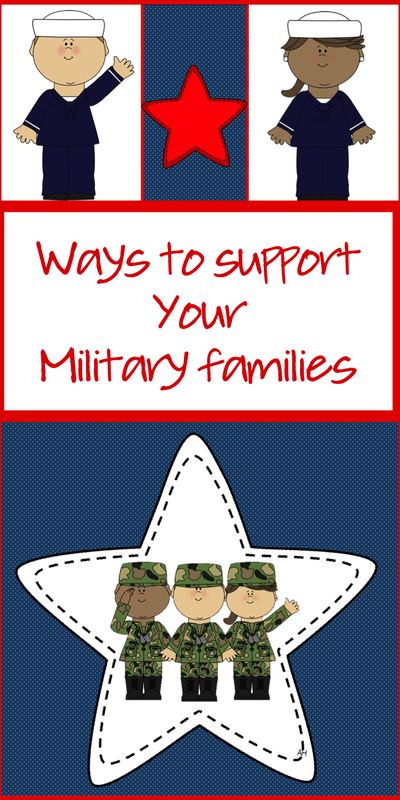 . . how do we support and help our local military families? 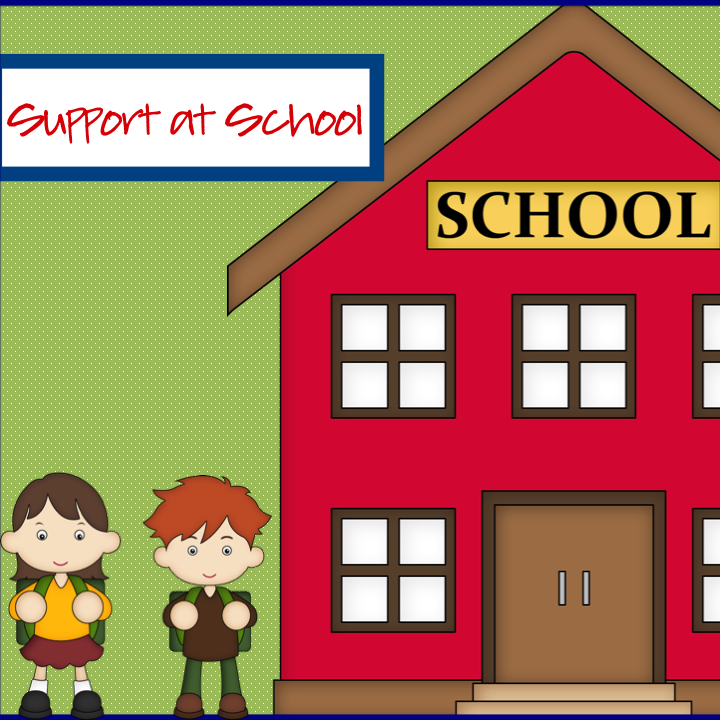 There are many ways you can support your families at your school. *School counselors can begin support groups so students can get know other kids who are like them. *Teachers can send home these homework coupons. Many people mistakenly think the person with a deployed spouse is like single mom or dad. While there are similarities, there are differences which is why these homework coupons really are a big support to the parent. Let your parent have a guilt free night! A deployed spouse is in a high risk job which brings about its own stresses for both the parent and child. It will be a long time before the child is able to see his/her deployed parent. There are not usually as many children of deployed parents as children of divorce so the child has fewer peers in which to relate. Deployment has the following stages: pre-deployment, deployment, and post-deployment. The temporary nature of deployment causes its own stress. The parent and child gets into a routine, and then it is time to change to the next stage. 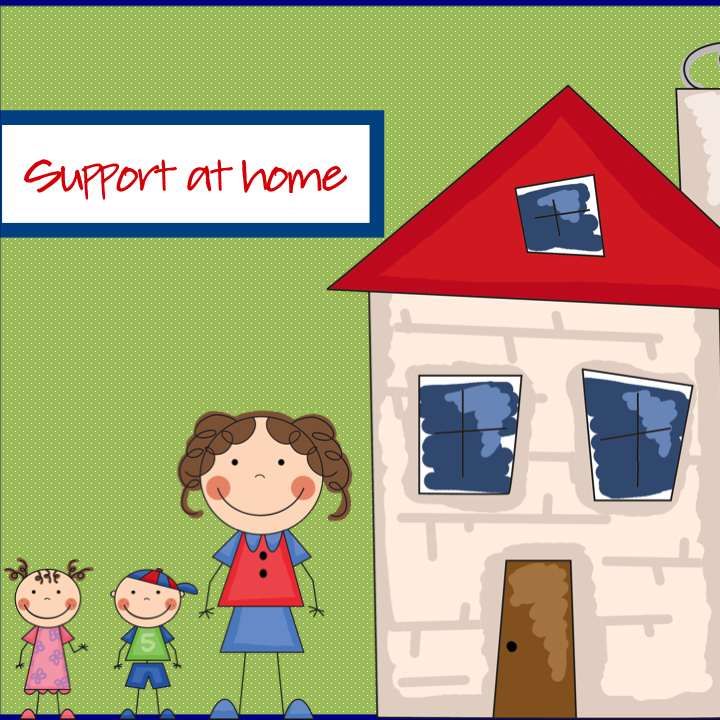 Is there a family in your neighborhood that has a family who is serving in the armed forces? There are many different ways you can show support. Mow their grass or other yard work. Offer to put up their holiday lights or decorations. Give them a gift card to a car repair shop for oil changes and other minor car repairs. Offer to babysit their children. Better yet, can you commit to one day a week/month? Drop off a meal. It is helpful if it is in a disposable container and is freezable. Leave a card thanking them for their service along with a gift card to a grocery store or pizza delivery. Cold and flu season will soon be upon us. Why not help this parent by being prepared ahead of time? Organize a get well box with: children’s Tylenol, cold medicine, chicken noodle soup, cough drops, tissues, hand sanitizer, lip balm, etc. These are all excellent suggestions! A couple years ago I had a student whose father was in Iraq. It's easy to forget how hard that time is for a family. And thank you for the coupon freebie! That is a great idea!